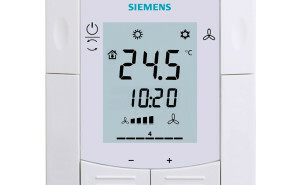 The HVAC products portfolio from Siemens offers a comprehensive range of HVAC systems and products for every area of use and for every technical application. HVAC components are optimally matched so you profit not only from minimized installation and operating costs, but from a high level of security against failure as well. 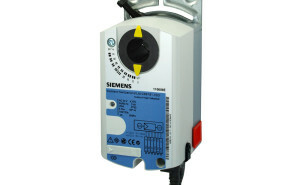 2 way valves with modulating (4-20mA or 0-10Vdc), on/off, 3 position actuators. 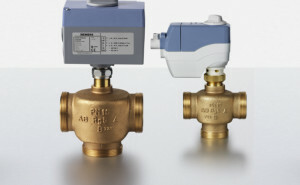 3 way valves with modulating (4-20mA or 0-10Vdc), on/off, 3 position actuators. 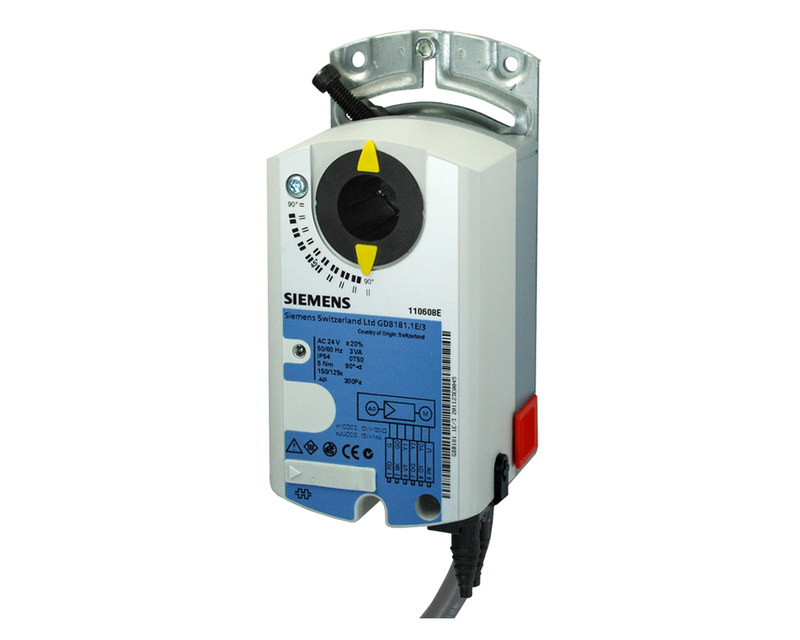 3 way with T-Bypass with modulating (0-10Vdc), on/off, 3 position actuators. 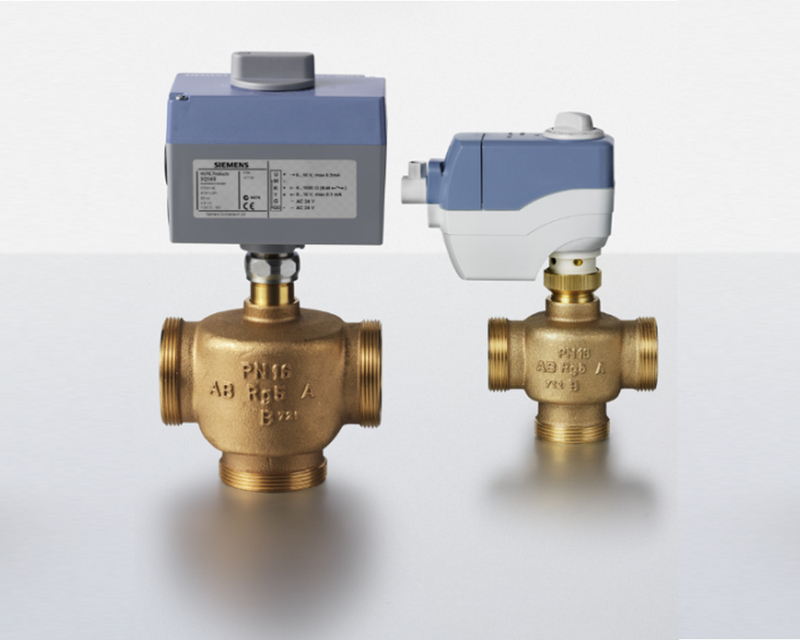 4 way valves with 3 position actuators. Butterfly valves with modulating (4-20mA or 0-10Vdc), 3 position actuators. 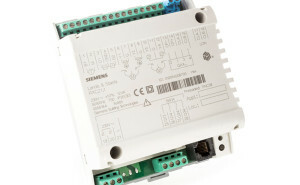 Fan Coil Unit Controllers, 3 speed fan control, ECM fan control, on/off valves command, modulating valves command, LON/KNX. 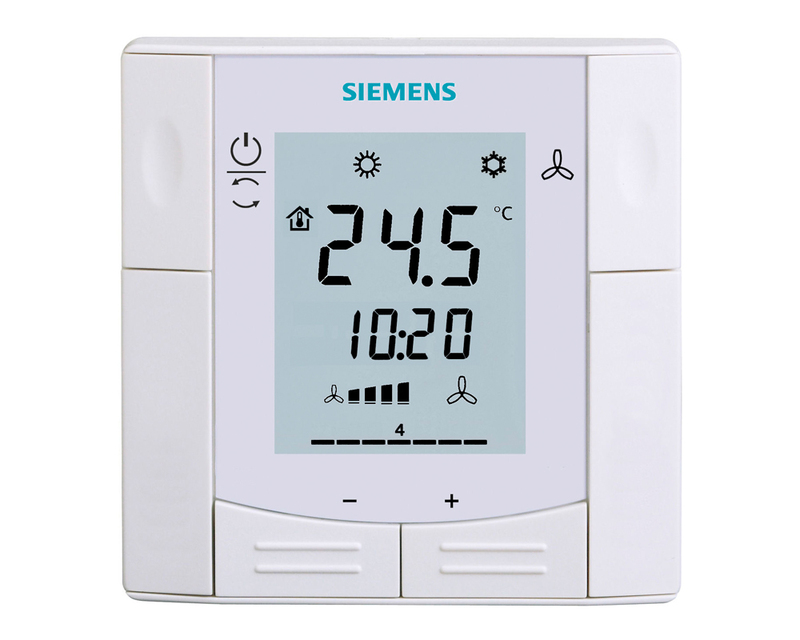 Variable Air Volume controllers with built in air flow sensor, control of damper actuators / electric reheaters. 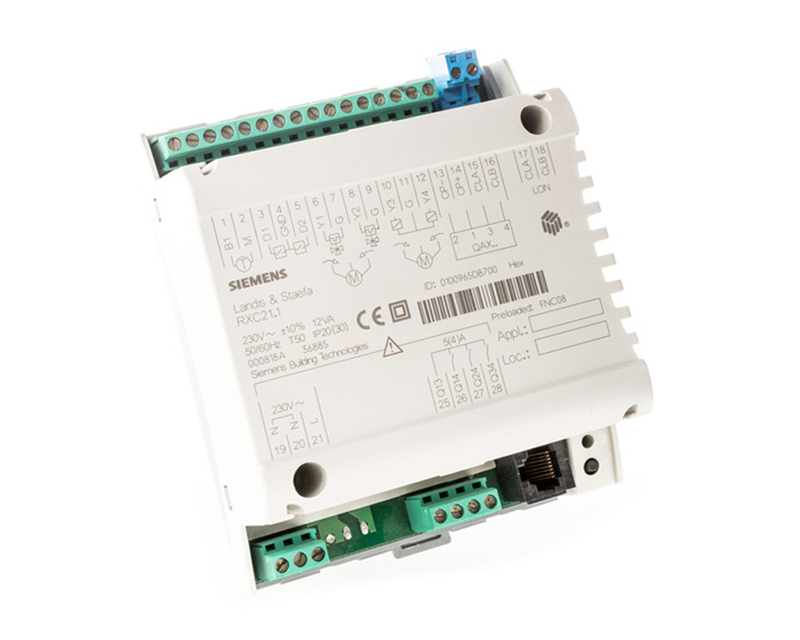 Damper Actuators with on/off, modulating command signal and feedback and smoke and fire dampers with short response time.